It's been said that while good artists copy, great artists steal. But what about those lacking any artistic talent at all? 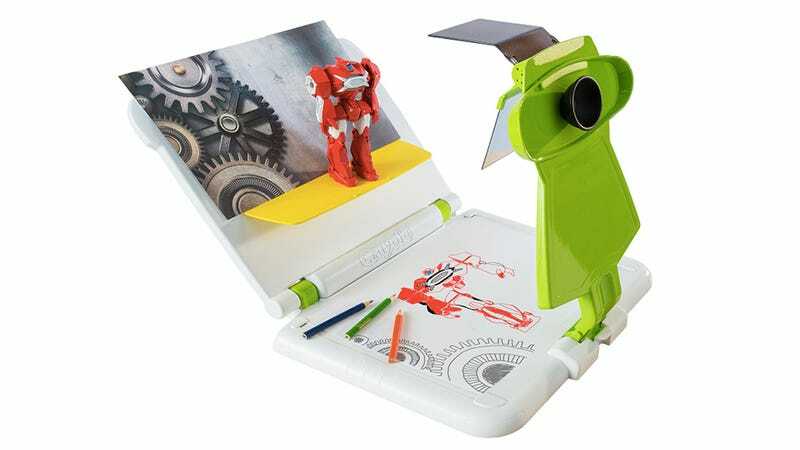 They trace, and their copied creations will be all the more authentic with Crayola's new Sketch Wizard contraption that lets anyone reproduce sketches of other pictures, or even 3D models. While looking through the Sketch Wizard's viewfinder an aspiring artist sees the blank page they're drawing on, and whatever they've placed on the plastic easel overlaid on top. So instead of just sketching what they're seeing, and trying to get that visual image onto paper, they can just perfectly trace and reproduce their source material.